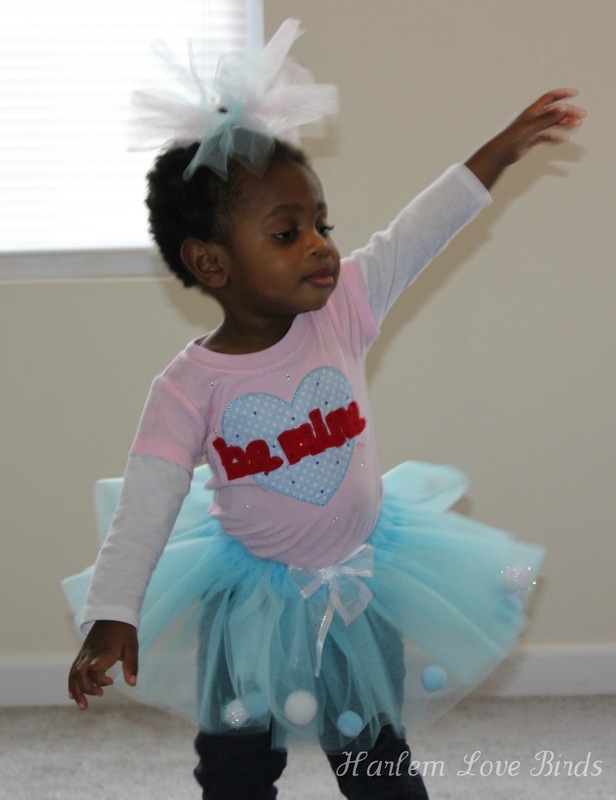 Nia's been prancing around in her new Valentine's Day outfit she won from Cutie Pa Tutus via Baby Making Machine (thank you both)! She's a ball of energy, and it was so hard to get these shots, but I still love my little reluctant Valentine! No big plans for us Love Birds; just hanging out at home and having red velvet cake for dessert (Mr. Love Bird's request). We'll do a bit of pampering this weekend (his and hers mani/pedis). 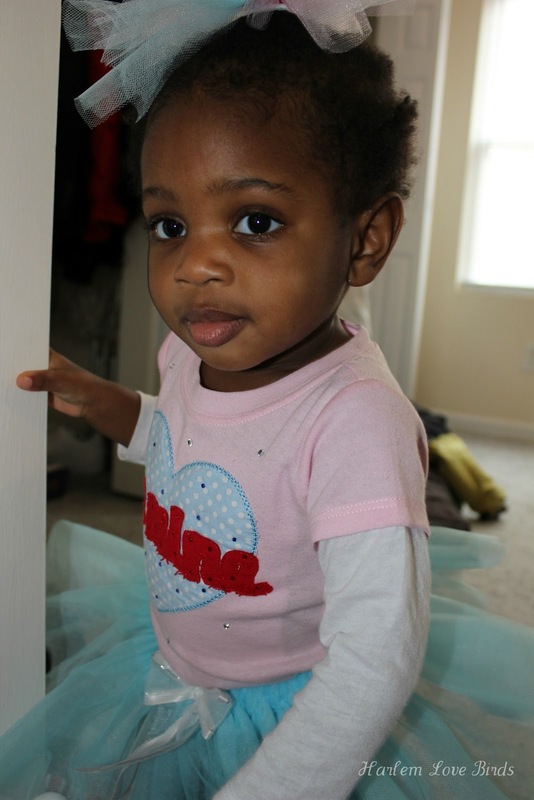 Have a wonderful day, and I'll be back shortly with Nia's 18 month post! P.S. 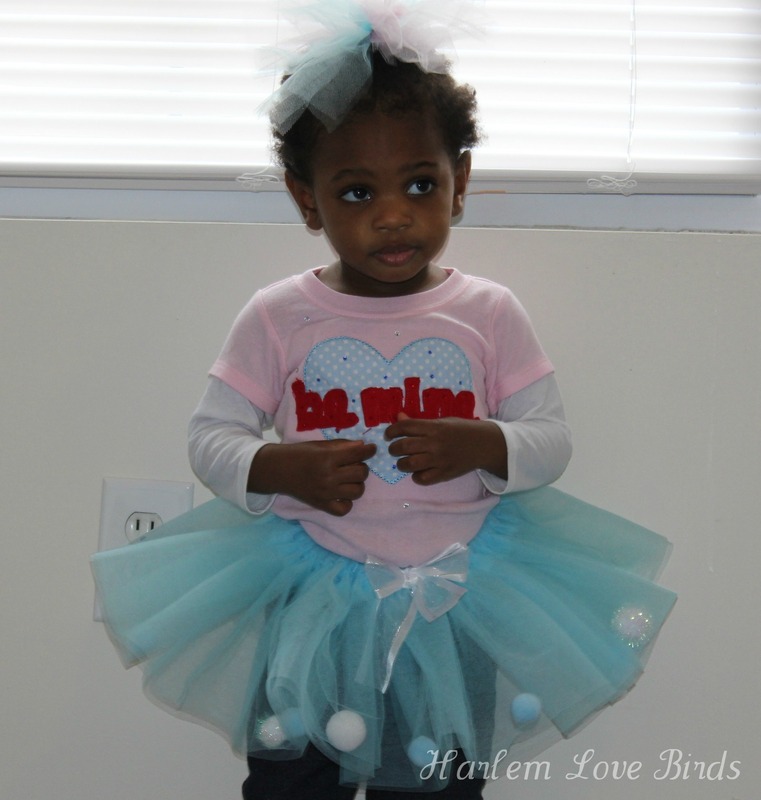 Click here to see Lil Love Birds' first Valentine's Day!